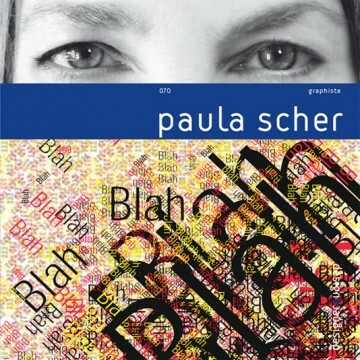 Design & Designer 070 – Paula Scher, official blurb: A graduate of the Tyler School of Art in Philadelphia, Paula Scher began her career in the 1970s as art director of CBS and Atlantic Records. In 1991 she joined the Pentagram agency, soon becoming one of its emblematic figures. She has designed visual identities for clients including The New York Times, Ballet Tech, the Metropolitan Opera and the New York City Ballet. The epitome of spirited New York inventiveness, Paula Scher is without doubt one of the finest graphic designers of her generation.